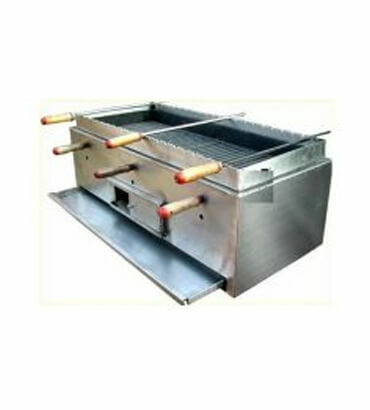 Charcoal Barbecue Grill Manufacturer in India, Charcoal Barbecue Grill Supplier in India, Charcoal Barbecue Grill in India. We offer Charcoal Grills in India, available in different sizes and designs for restaurants, hotels, live catering and house parties also. Made with stainless steel outer body and inner grill in heavy duty M.S rods, also available in LPG burners in India. • Construction. SS 304 food grat Material. • Inside Insuluted Ms Sheet. • Operation Mode. Charcoal.Capacity Of Charcoal 1.5 kg a time.